It is with great sadness that I am passing on the news that Linda Leslie passed away Sunday evening. 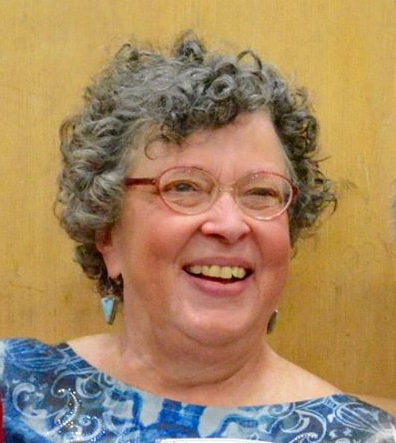 She called on Thursday night at the Concord Scout House, Friday evening at the Rehoboth Contra Dance, and then again on Saturday evening at our own contra dance in Jamaica Plain. She called an amazing dance program for all of us those evenings! Linda had been having difficulty breathing during the past week or so, particularly after walking, and this became increasing worse over the past few evenings. On Sunday evening, she was taken by ambulance to her local Emergency Room and she passed away in the ambulance on the way to the hospital. Her husband Bob Golder has requested that Linda's passing NOT be posted on Facebook. Email and word of mouth is fine, but he prefers this not to become a Facebook event. As a caller, she took the love and the joy she experienced as a dancer, and transformed the dance community every where she went, touching us all with her lovely soft spoken presence that would make you feel embraced with that love she had when she danced. To many of us, she was like our dancing "mom" or "grandmom", always a warm smile, always ready with humor, always looking out to make sure everyone was having a good time, and feeling safe within the room. In our community, she was a bridge builder, and a role model of what good dancing and community building are all about. She was also a HUGE advocate of gender-free dancing. She was one of the key people who helped us connect with and be an accepted part of the greater community of dancers, and encouraged us to share our love of dancing with others as a way to help build those connections. 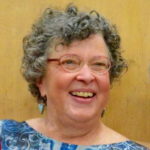 At our dance camps, as many of you know, her presence was always a welcome treat, whether she came as a dancer simply because she loved our community so much, or when she would come as a caller to build our community, and the bonds that go with it, as she shared her passion and love of music and dancing. And of course, we cannot forget her delightful husband Bob, who has also been a warm personality, much loved in our community, also sharing his love of dancing with us, not only as a dancer, but as a caller, having written some of my favorite dances along the way. Bob has also being a great NEFFA advocate helping us many times along the way. His warm smile and delightful presence has brought a lot of joy to us a lot over the years, and he continues to be a part of the family that makes our dance a special place to be. I know we will all miss Linda very much. It's very difficult to lose someone who has had such a presence in our lives and who has brought us so much, and who was a big part of our dancing family. As we find out more information about memorial service arrangements, we will let you know, along with any memorial dances that may be organized in her honor. In the mean time, when we come together to dance, let us honor her memory by sharing that joy she brought to each of us, with each other, and let us dance in honor of all our friends and loved ones who have gone before us. It is moments like this that are so precious — and Linda was certainly one of them!